Rockstar Energy Husqvarna Factory Racing’s Dean Wilson and Zach Osborne showed impressive speed during the two nights of racing at the annual Paris SX where both riders enjoyed podium finishes at the end of the first night of racing. 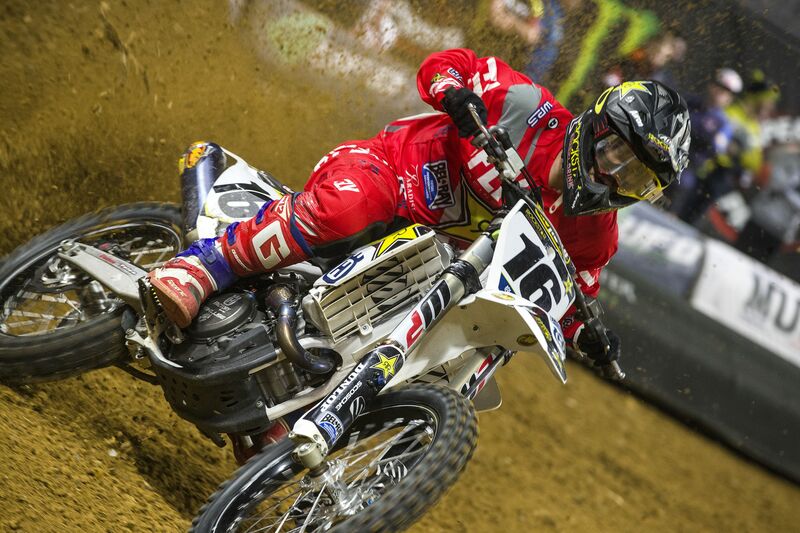 Returning to the podium on Sunday night, Wilson placed third to match his Saturday result. For reigning US East SX Champion Zach Osborne the Paris SX event offered the chance to mix things up and compete on a 450 ahead of his planned switch to the AMA 450 Pro Motocross Championship, later in 2018. Despite only limited seat time on his FC 450 Osborne earned a well-deserved runner-up result to Marvin Musquin at the end of the opening night’s competition, running second from the drop of the gate to the chequered flag. Completing the opening lap of Sunday night’s main event in fifth, Osborne battled hard throughout the race to move to fourth on lap 15, where he remained to the finish. Making his final competitive outing ahead of the start of the 2018 AMA Supercross Championship, Dean Wilson enjoyed a largely successful time at the Paris SX, placing third on both nights. Fourth out of the gate on Saturday night, Dean needed just to two laps before moving into the third-place position behind teammate Osborne. Completing 21 mistake-free laps Dean finished third, just 11 seconds off winner Musquin. In Sunday night’s main event Dean started third, remained in third for all 21 laps to match his Saturday night result and head back to the States with a 3/3 scorecard.